The Washington Redskins will bench Robert Griffin III and start Colt McCoy on Sunday against the Indianapolis Colts, ESPN’s Adam Schefter reports. 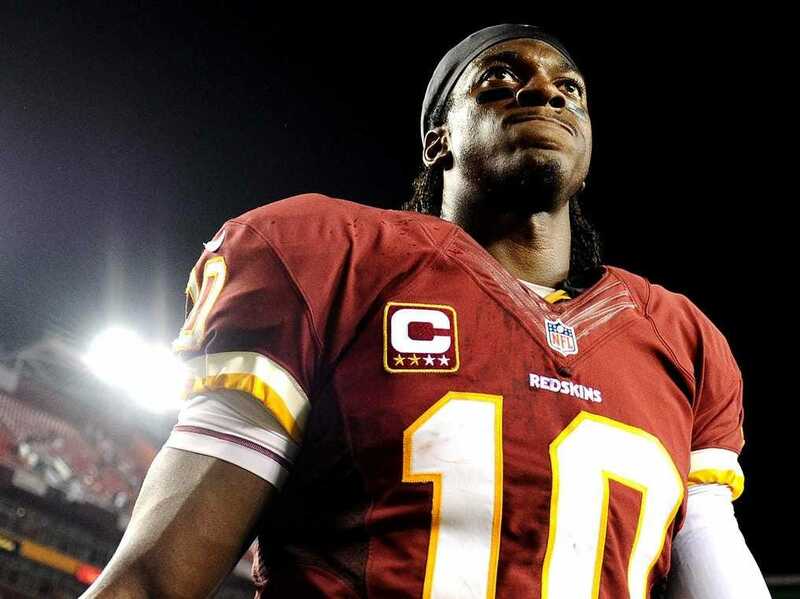 It’s the second-straight year that RGIII has been benched to end the season. Over the last week coach Jay Gruden has been distancing himself from Griffin, calling him “coddled” and shifting the blame for the team’s dismal 3-8 season from himself to his highly-touted quarterback. Gruden’s comments, combined with Griffin’s tricky contract situation, make it unlikely that he’ll ever regain his starting job with the Redskins. He’ll be a free agent after the 2015 season unless Washington picks up his estimated $US18 million option for 2016 — which seems unlikely. The Redskins exchanged a 2012 1st-round pick (No. 6), 2013 1st-round pick (No. 22), 2014 1st-round pick (No. 2), and 2012 2nd-round pick (No. 39) for the No. 2 pick and the right to draft RGIII. The Rams have turned those four high picks into eight players. But back in 2012 no one thought it’d turn out this badly — with the team ready to trade him three years after betting the future of the franchise on him. The trade that brought RGIII to Washington is one of the primary reasons he hasn’t been able to succeed. The team around him is just not very good. 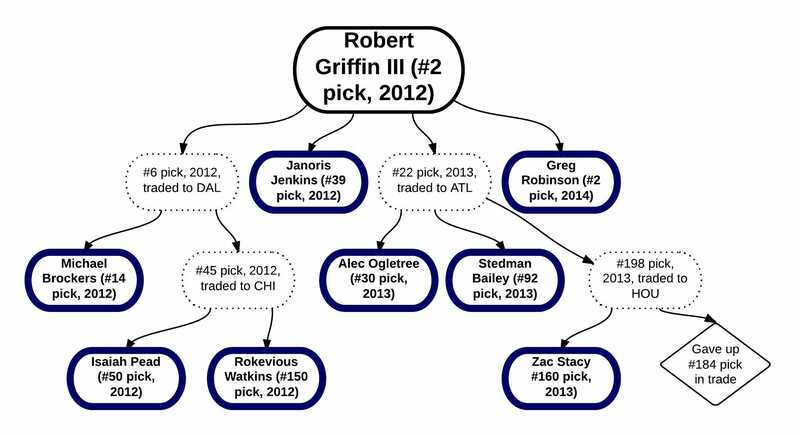 The Redskins haven’t had a first-round pick since Griffin has been there. 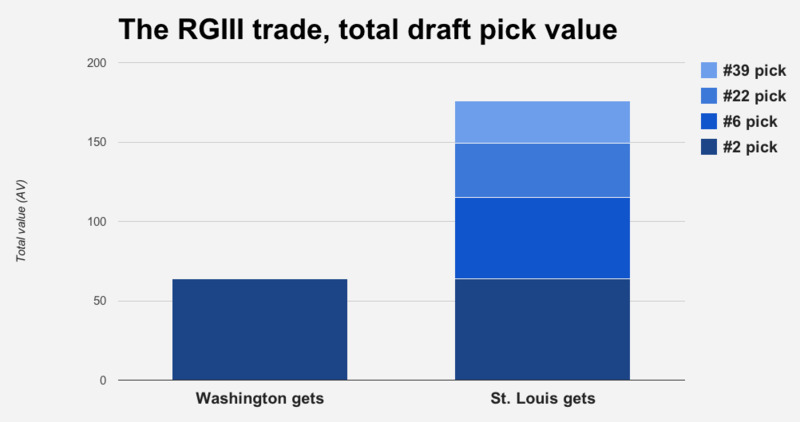 They have roster holes everywhere — which is understandable considering they gave up the opportunity to draft eight players (15% of an NFL roster) to get RGIII. 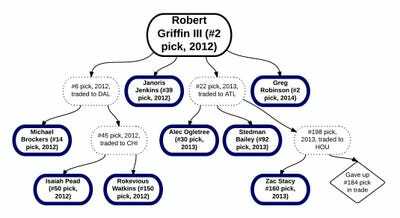 At age 24 Griffin has plenty of time to become a starting NFL quarterback. But barring some remarkable turnaround, it’s not going to happen in Washington.